Time for Santa to make an amazing ski jump! Jump off the platform using Santa and get as many coins as you can. Collect enough Stars over 3 jumps to progress to the next round. If you want to play Santa's Ski Jump games online you have come to the right place! GamesLoon adds new Santa's Ski Jump games every week. This is your game portal where you can find the biggest collection of free Santa's Ski Jump games online. 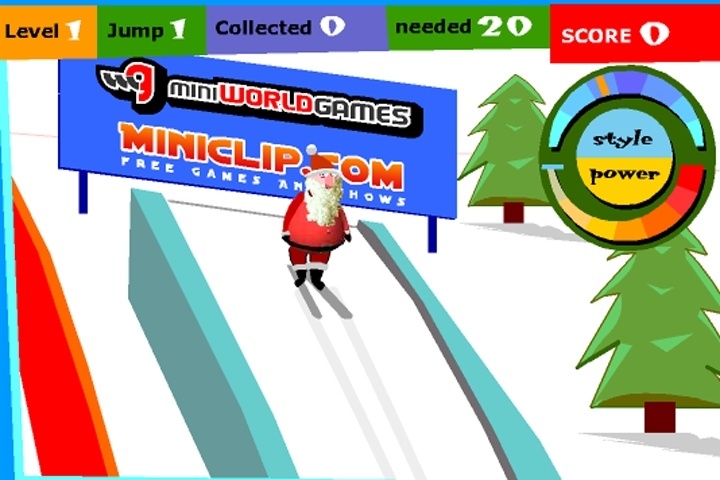 Do not forget to rate our Santa's Ski Jump free online games while playing!